Two highly requested training courses provided by WIA’s Telecommunications Education Center (TEC) will be available during Connectivity Expo later this month in Charlotte. The courses are ideal for those who want to add to their professional skills or train their workforce for the changing needs of the wireless industry. Course attendees can take advantage of discounted Connect (X) registration to combine the training with WIA’s conference and exposition, which features keynotes by industry luminaries, content-packed sessions and more than 100 exhibitors. Fifth-generation network deployments are rapidly approaching, which will require new skillsets to address the advanced radio network, core network, backhaul techniques, densification efforts and new spectrum opportunities. 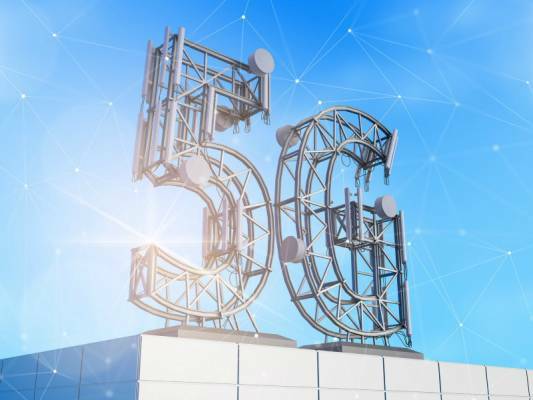 Having the knowledge and skills to address these 5G needs will be key to success during the next several years. The 5G Outlook course provides an overview of 5G capabilities and use cases based on field trials that are currently underway. The course evaluates driving forces behind 5G efforts, timelines, key requirements and pre-5G activities, and includes the perspectives of cellular operators, regulators and academia. The course takes place from 1 p.m. to 4 p.m. on Wednesday, May 23. Register here. A two-day Wireless Site Safety course provides an industry overview, antenna and site-specific training, and driver safety, and includes an OSHA 10-hour construction card. This course addresses the basic practices of identifying, eliminating, and reporting hazards associated with working on a wireless site. Training contact hours can be applied against TIRAP-related instruction outlines for TTT-1 and TTT-2 (Telecommunication Tower Technician) and Wireless Technician. Topics include: safe work practices, RF hazard safety awareness, best practices using ANSI, ASTM and TIA standards, fall protection, electrical safety, and basic rigging safety principles. The course takes place from 8 a.m. to 4 p.m., Wednesday May 23 and Thursday May 24. Register here. Registered attendees of either course can use Code CXTE33 to receive a 33 percent discount on Connect (X) registration. As the industry’s knowledge authority, WIA offers courses through TEC that drive job training and practical know-how, foster industry expertise and information sharing, and certify and qualify individuals. Setting a new and world-class standard within the industry, this certification program, with associated coursework and curriculum, creates a consistent knowledge base that ensures skillsets meet a uniform definition set by the wireless industry and recognized by employers. These credentials are valuable to employers, allowing them to strengthen their existing workforce and to determine the skill level of applicants without encountering the expense of an assessment for each applicant. TEC curriculum was developed with input from SME’s, industry partners, WIA members, and academia/higher education, providing certified coursework that meets employer and industry demands. For more information about TEC courses, visit our website at www.TEC-online.org or contact Kimberly Curley, Director of Workforce Development, at Kimberly.curley@wia.org.